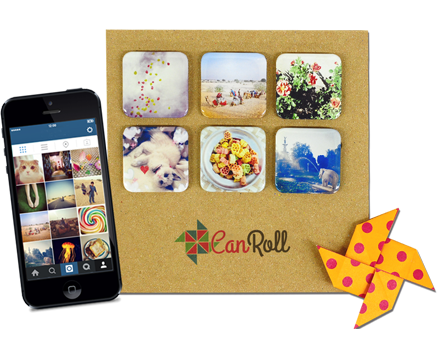 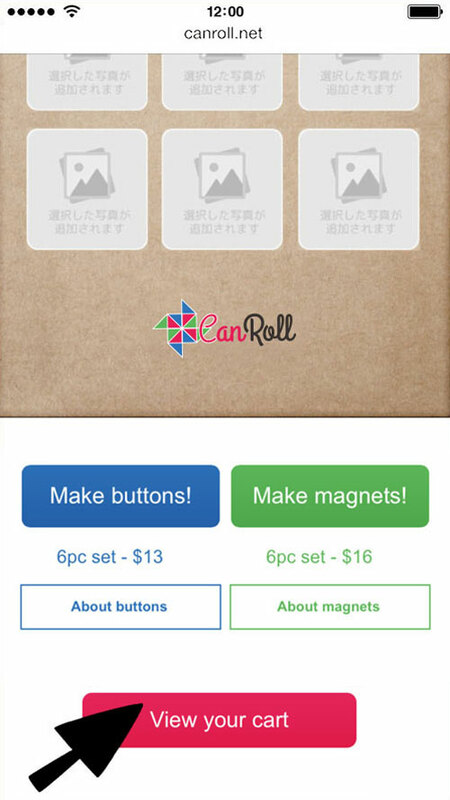 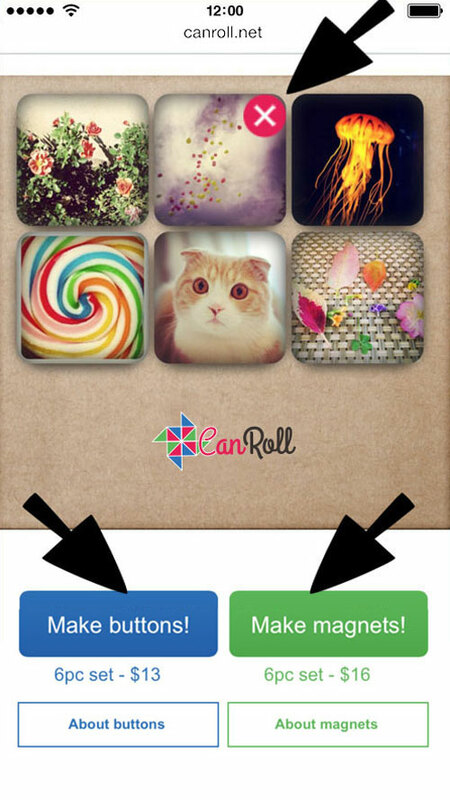 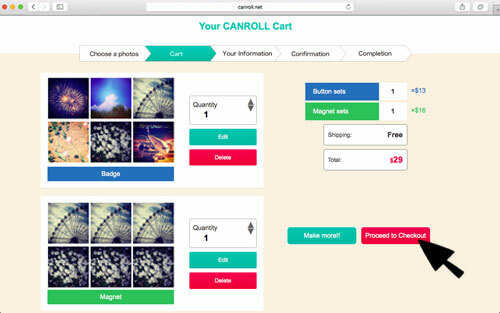 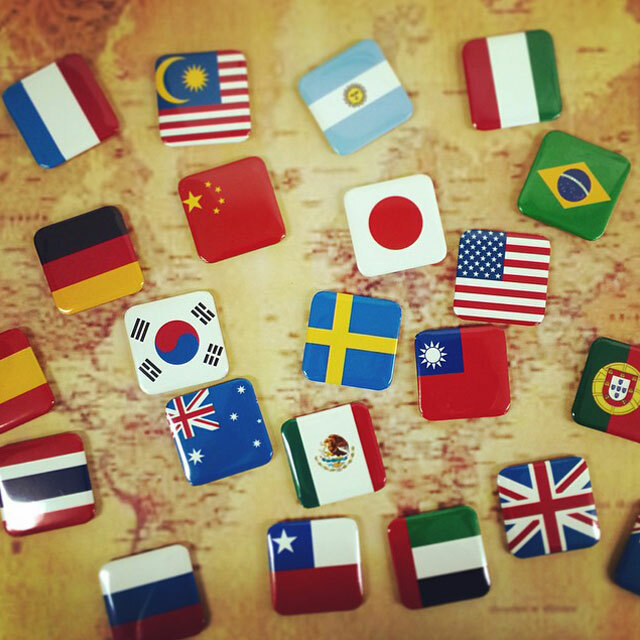 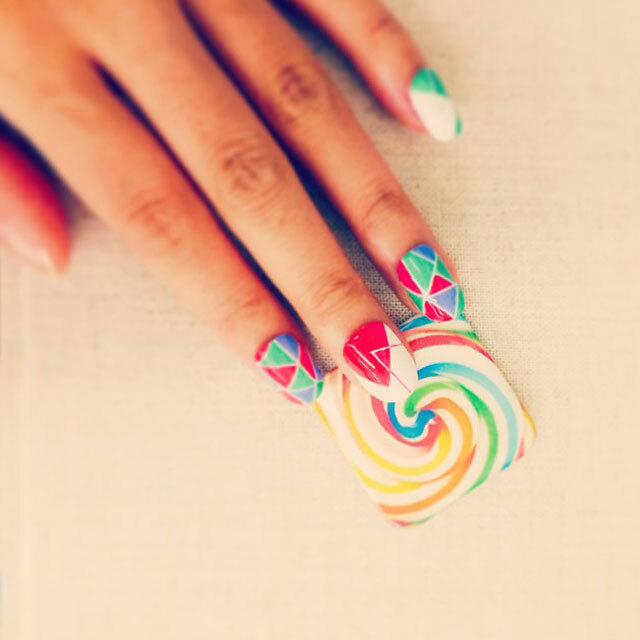 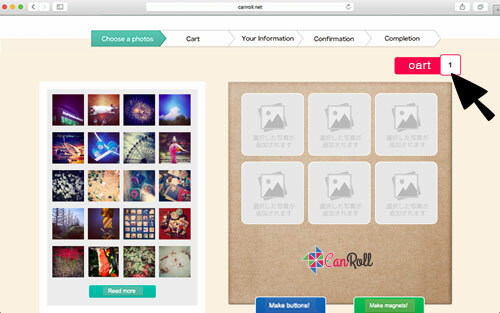 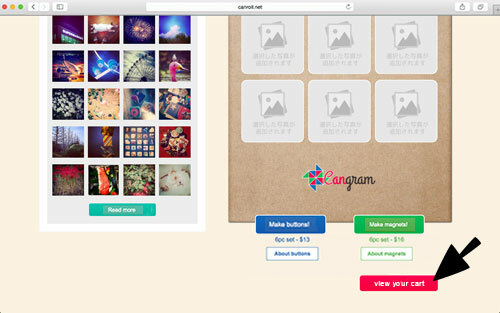 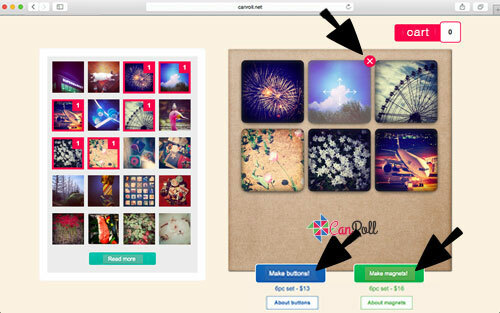 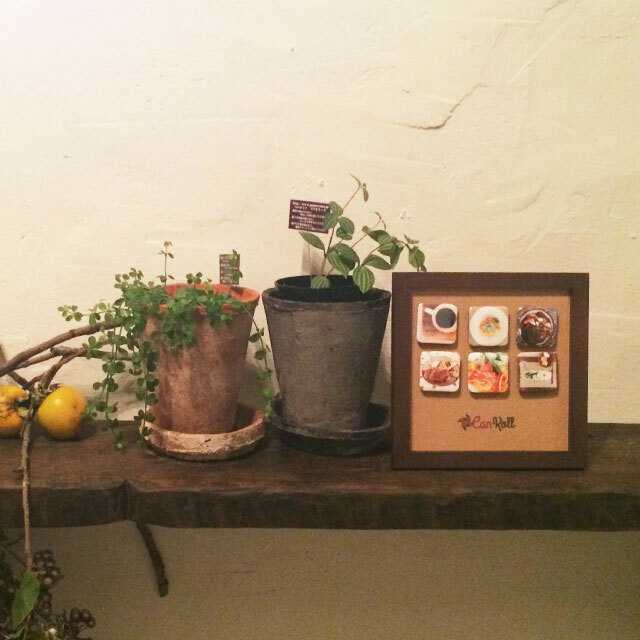 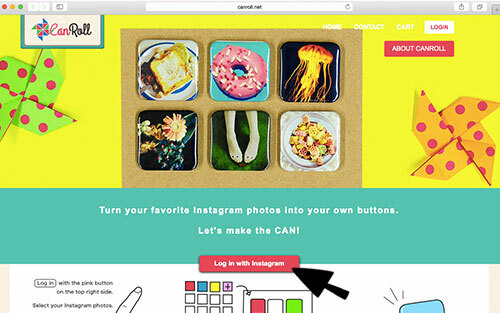 CANROLL turns your favorite Instagram photos into collectible buttons from Japan. 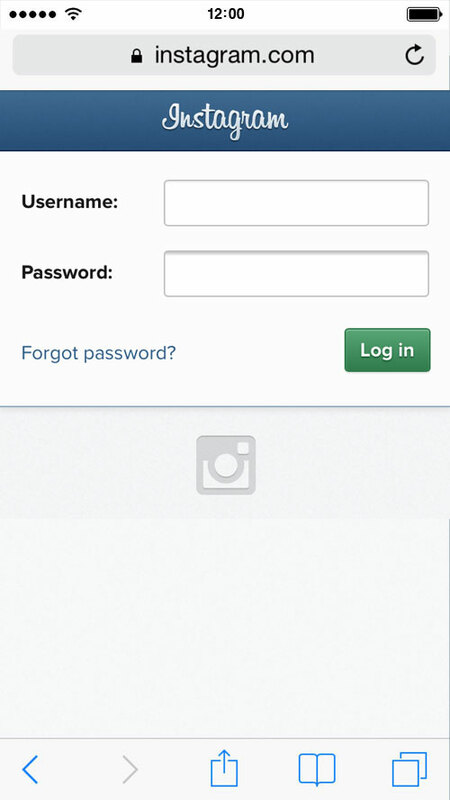 Start by clicking the pink "Instagram login" button. 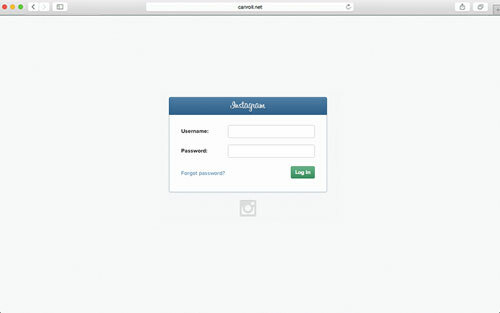 Your Instagram photo library will appear on the left. 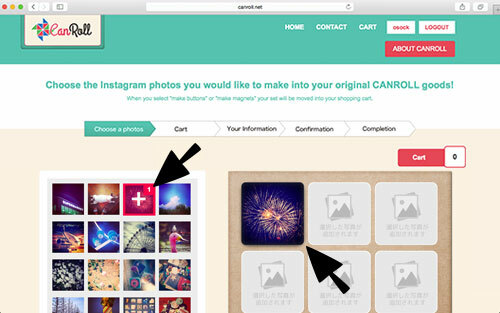 As you choose your photos your selections will appear on the right. 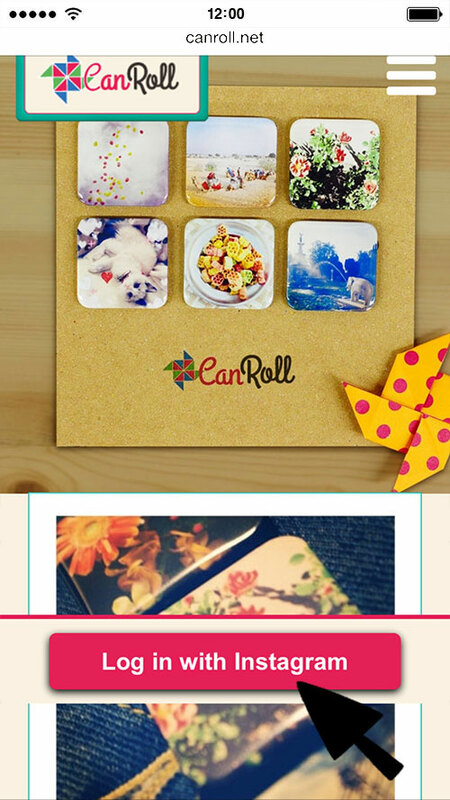 Choose 6 images for each set. 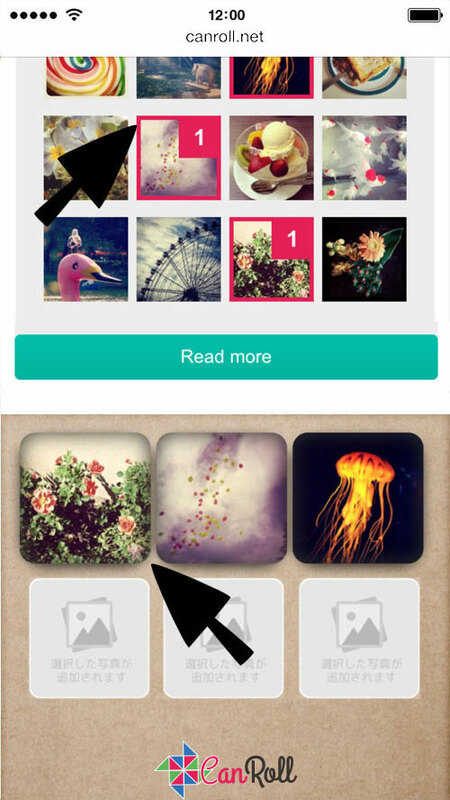 Your selected images can be added and removed on the right. 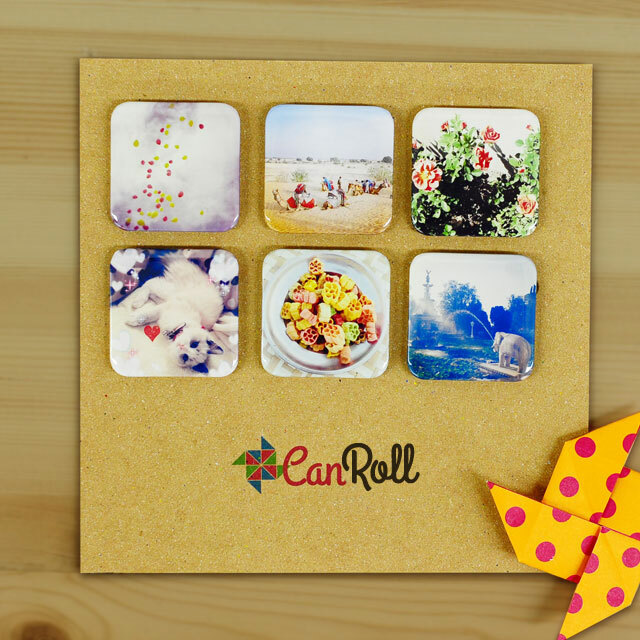 Once you have made your selections choose to make either a button set or a magnet set. 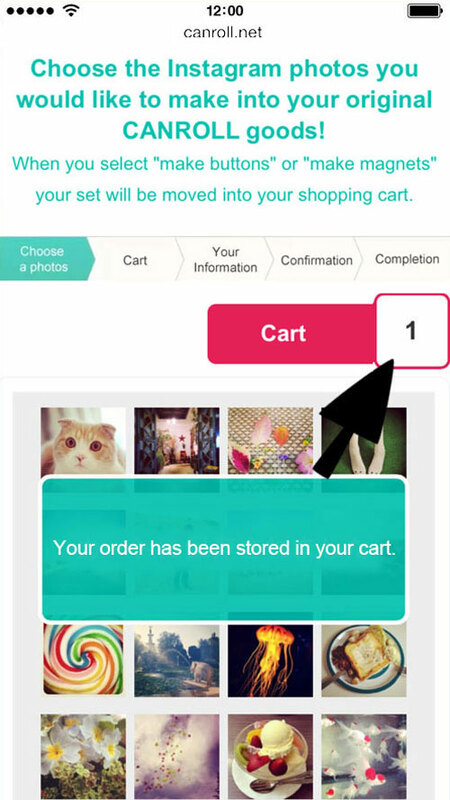 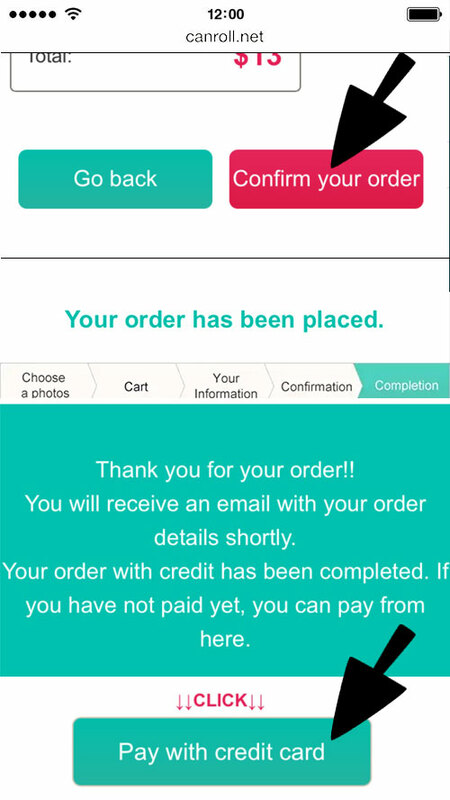 Your selected item now appears in your cart. 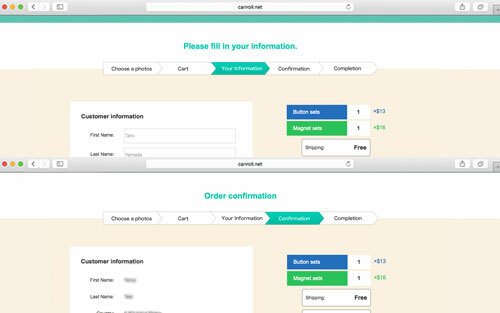 When you've finished creating your sets, go to the next page. 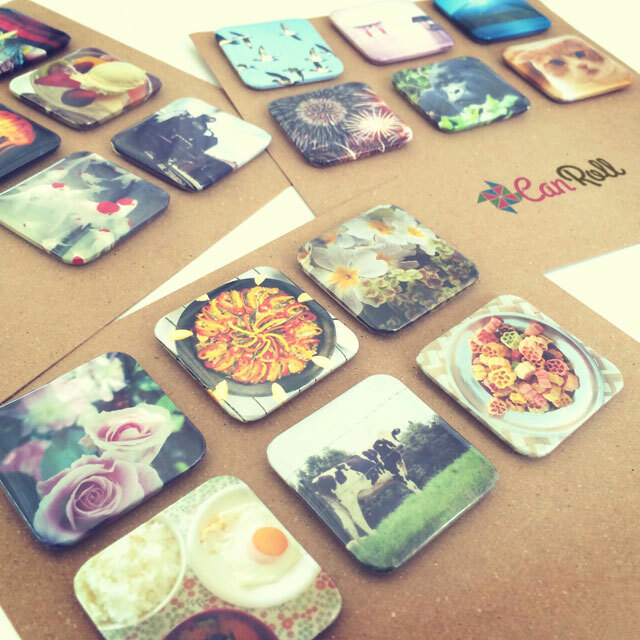 You can choose how many of each set you would like. 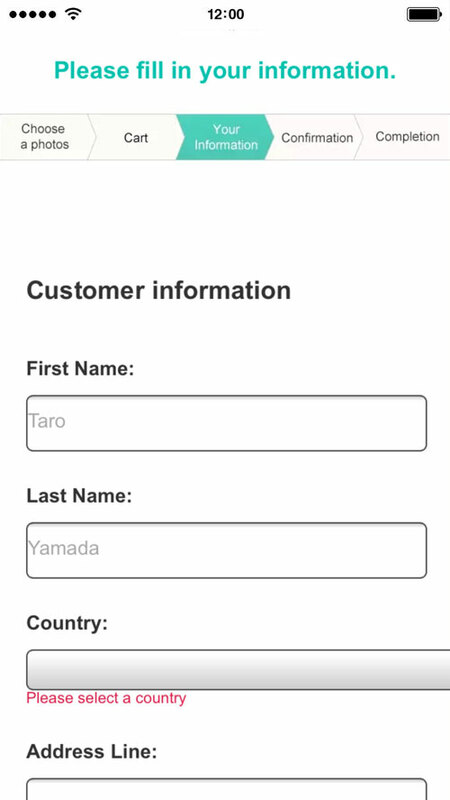 After you have reviewed your information, confirm your order. 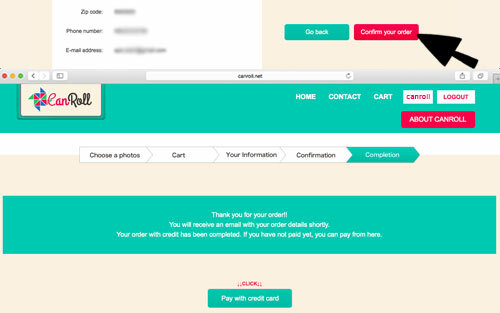 You will receive an email with your order details shortly. 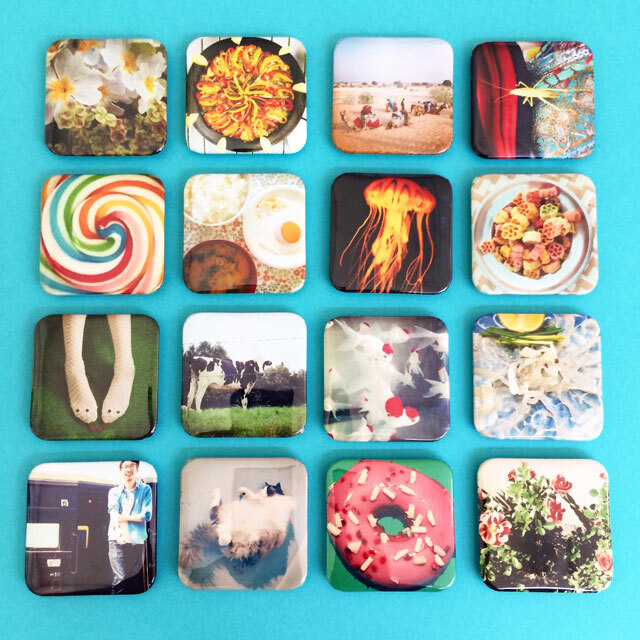 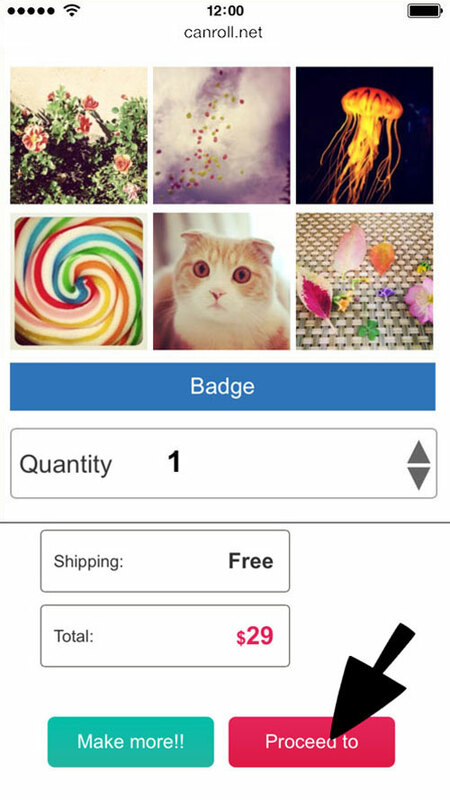 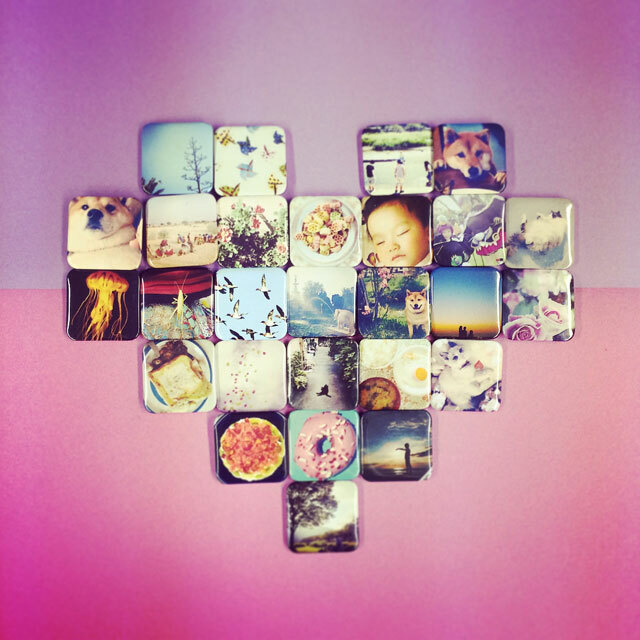 Turn your Instagram photos into high-quality collectible buttons!